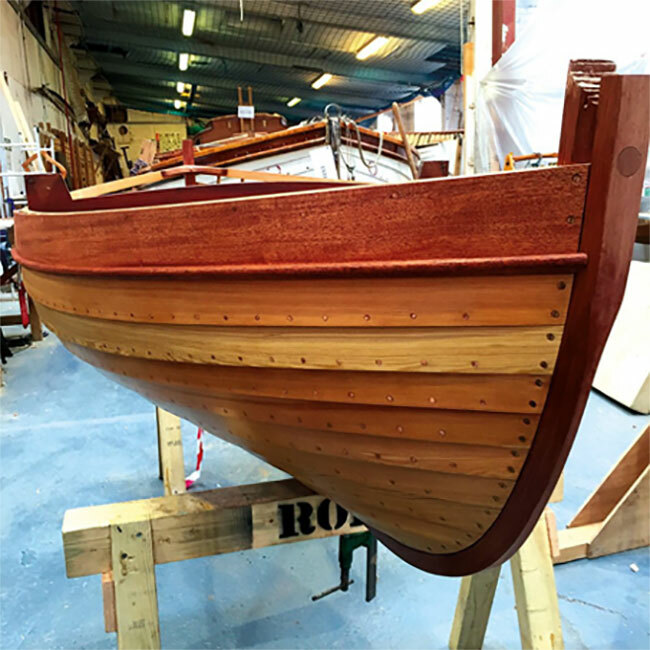 This 12 week boatbuilding course starts with four weeks practical woodworking to learn the necessary skills required. You then progress through all the stages necessary to build your own boat from constructing the backbone, setting up station moulds, planking, fitting out and finishing. You will also learn the techniques and skills needed to set up and build larger boats of both clinker and carvel construction. Areas covered within this course include: Care, use & sharpening of tools; Planing & chiselling timber; Joints, including tenon, mortice, half-lap, housing & scarf; Timber seasoning & conversion, defects, measures & sizes; types of wood used in boatbuilding; dovetails; reading of drawings & preparation of cutting lists; production of moulds from drawings; spiling & fitting clinker & carvel planking; preparing jigs; shaping & bending timber and more. These highly transferrable skills can be used throughout your career, or your life. This is a very popular course, and many students go on to build, with real confidence, a boat of their own. It can be an excellent way to test if you have the right temperament and approach to take on a larger build or restoration.